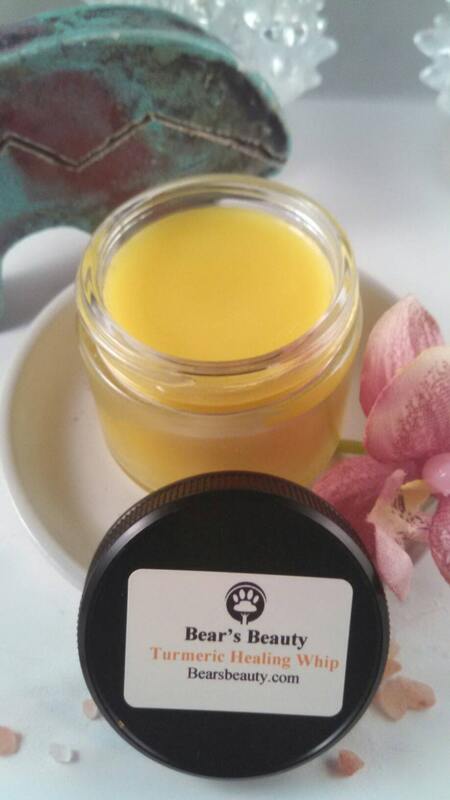 TURMERIC ECZEMA BALM : Tired of Eczema balms packed with ingredients that can clog your pores? Me too! That is why I created this golden elixir. Turmeric is anti-inflammatory, and I have chosen the gentlest application of infused oil and Co2. Organic Gluten-Free oats provide long-lasting moisture. Great for everyone, not just eczema, anyone with dry + flaky skin. Safe for face + body. Organic Turmeric + Organic Cupuacu Butter + Organic Gluten-free Oats + Organic Hemp Seed Oil come together to create a silky balm that helps soothe + reduce redness + KP (Chicken Skin) + Eczema + Dry Skin + Itch + Bites + More! Organic Gluten-Free Oats are hand-ground into a soothing powder that helps your skin stay calm and soft. Eczema = Dryness + Minor Flaking + Minor Itch + Bumps + Chicken Skin + Not Typically Painful. Eczema tends to be easier to address than Psoriasis. Things like dry patches, scaly looking skin, itching, and bumps are all issues associated with Eczema or similar skin concerns. Bear's Beauty offers two Eczema specific products, a balm with Turmeric + Oat and an Body Serum. Both use moisturizing + anti-bacterial botanical oils and essential oils to quickly protect + sooth + moisturize delicate skin. Bear's Beauty Eczema Turmeric Balm or Body Serum used along with the Misbehaving Body Scrub is my protocol for KP (Chicken Skin / small bumps on the backs of arms.) If you have Eczema, and not Psoriasis, please check out Turmeric + Oat Eczema Soothing Balm or Eczema + KP Body Serum :) If you have sensitivities to Essential Oils, the Body Serum can be made without them, via spacial request. Exfoliate skin regularly, exfoliation is key to healthy skin and your products are able to do their job. Apply to cleansed + damp skin after shower, or anytime your skin needs some TLC. "Love your organic products! I have a rare painful skin condition and I've been using this healing whip to soothe it, I really like it!"